You’ve set a date and you've booked several of your wedding vendors. - You still feel overwhelmed with the options, and how much there is to do, but you feel good about key elements being crossed off and that your wedding is taking shape. 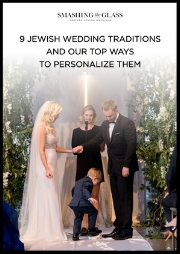 - You’re ready to start thinking about ways to add on those little details that will make your your wedding truly memorable (but you also need to manage members of your family who may be insisting on certain elements and / or traditions that don’t feel 100% you). You’re making great progress and here’s what you need to focus on now you’re at this stage (I’ve done all the thinking so that you don’t need to!). Read the action steps, and watch my video below, and as always, if you have any questions, ask me inside the Facebook group and I’ll get them answered! Get creative and dream up ways to personalise your wedding and create an unforgettable day, not only for you - but also for your friends and family. 2:46 'Meheira' - a popular song choice for the groom to walk into. 7:36 How long or short should the songs be that I choose? 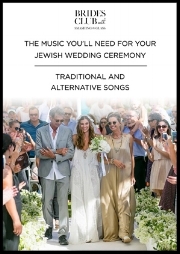 16:32 How do you choose music for when the guests are being seated.. ie before the chuppah starts? 29:19 What songs are guaranteed to make people melt during the ceremony? 32:55 Have full confidence in your musical choices... most things go and are allowed! 45:00 Do you need a chazan? Or will just a Rabbi suffice? 53:14 Is it better to let the chazan, in the first instance, suggest the songs they recommend/are familiar with then if not happy discuss alternatives? 57:49 Siman Tov Mazal Tov! 1:03:02 How about singing Jewish songs to non-Jewish tunes?